Prime Commercial lot with most of the headaches already done!! 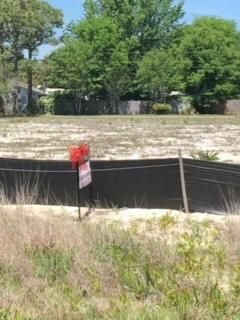 100' x 300' with 100' frontage on north side of Gulf Breeze Pkwy. Close to the new Publix & new Sacred Heart Center. Totally Cleared, Survey & Soil borings done. Also has back Egress for easy access, which is very rare to have both.Seller has plans in place for a beautiful 5000sf building, also available if interested.